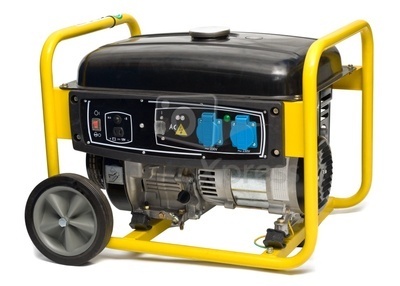 The Generator Factor - Haba Naija! In our country today, constant power supply is a luxury most people long to have, and resort to purchase of generators of different kinds, as they have been let down by the broken promises of our leaders. In some states, this electricity issue is not such a big deal, as it’s FAIRLY stable, while in others, its nothing to write home about. An estimated 60 million Nigerians now own power generating sets for their electricity, (a profitable market for generator manufacturers) while the same number of people spend a staggering N1.56 trillion ($13.35m ) to fuel them annually. The latest is this prepaid meter, which requires a monthly maintenance fee in addition to the amount intended to purchase units… From the time it was introduced up until now, the maintenance fee has slowly risen, #300, #500 and now #750….. Who knows what’s next. Attempts by the democratic governments of former presidents to achieve 10,000 megawatts of power failed woefully. Furthermore recent efforts to increase generating capacity to any appreciable higher level, have yielded even lesser results, other than constant confrontations by the electricity workers unions. Accordingly, available power supply to the people has continued to drop, while Nigerians pay through their noses purchasing and running generators, which became the main source of power supply since 1997. The most painful aspect is that, those who can’t afford to buy and maintain a generator, in addition to being in total darkness, still bear the noise and air pollution caused by generators of neighbours.. With the hope that one day, the MOSES of our time will surface and lead us to the promised land of milk, honey, ELECTRICITY and everything nice..
PreviousIndependence Day 2013: President Goodluck Jonathan’s Address. Haba Naija Blackberry Curve Competition WIN!